As a Canadian residing in Mexico, it’s frustrating having to deal with the sufficiently vague laws that do not address the realities surrounding the administrative/legal inability for a Canadian citizen, with a medical marijuana license/prescription, to obtain a Mexican medical marijuana license. In my last article I described in detail the issues surrounding availability, so please refer to it, as I’m now focusing on the current status of laws in Mexico regarding medical and personal CBD and marijuana use. On October 31, 2018, the Supreme Court ruled that the law prohibiting recreational use of cannabis in Mexico was unconstitutional. As this was the fifth time that the court had ruled in such a way, it set a binding precedent across the country’s court system. The effect of the ruling was that the law prohibiting cannabis still remained in effect, but it was basically made unenforceable due to the fact that anyone could cite the ruling and demand that their charges be thrown out. The ruling mandated that the government of Mexico move to formally legalize cannabis within the next 90 days. However, the Mexican Supreme Court Ruling order excludes the issues surrounding medical marijuana law as it has stated that there currently is a law in place governing the use for Mexican citizens…but not for foreigners with four-year resident visas and medical marijuana prescriptions from their home land. So, just to be clear, the new laws will only pertain to personal use marijuana and NOT medical marijuana, as there are laws on the books regarding medical marijuana, which is an injustice to itself. I appreciate and understand the fact that Mexico has to look after their citizens first. However, there’s been a significant growth in the number of Canadians with medical marijuana licenses living in Mexico (either on a six-month visitors’ or four-year residential visas, or have become Mexican citizens). Many of these people deserve and require medical marijuana to help manage their medical issues. A Mexican friend suggested to me that one reason for the tight control over medical marijuana was partly due to the issues regarding supply, and that the supply chain had to be negotiated to ensure quality, quantities and consistent wholesale pricing. My question to him was, from who? The cartels? He just smiled. – more on that later. The recently negotiated NAFTA agreement (USMCA) is conspicuously absent of any mention regarding the legality and/or methods to accommodate a Canadian citizen with a medical marijuana license to cross-border order, and receive medical marijuana products in Canada and Mexico, which is an embarrassment to both nations’ governments and elected officials! WHY? Please see the below synopsis. The first real change came in 2015, when eight-year-old Graciela Elizalde, who suffers from a severe form of epilepsy known as Lennox-Gastaut syndrome, brought medical cannabis to the public’s attention in Mexico. CBD oil helped to drastically reduce her seizures, improve her quality of life, and she’s become the first Mexican medical marijuana patient after a Supreme Court ruling in her favor. Since the ruling, a medical cannabis bill was passed through both the Mexican Senate and the Lower House of Congress with an overwhelming majority, which was signed into law by then soon to be outgoing President Enrique Peña Nieto on June 19th, 2017. Mexico’s Ministry of Health had until mid-December 2017 to write regulations for medical marijuana and products derived from cannabis. As of early 2018 the products are available in Mexican pharmacies to help treat diseases like epilepsy, Parkinson’s, and cancer, but only to Mexican citizens and only from pharmacies within Mexico City! The current Mexican law governing medical marijuana excludes Canadians with a medical marijuana license from legally obtaining medical marijuana products/services or CBD products. Even though I’ve a license from a NAFTA (USMCA) based country, I don’t qualify for a license in Mexico, and there’s no process in place to accommodate a non-Mexican citizen to obtain a license. Therefore, possessing CBD products without a Mexican medical marijuana license means, if I were stopped by a customs agent on my way to/from Mexico, I could be charged with the importation/exportation of a controlled substance, aka drug trafficking. I could face permanent deportation and/or jail time, as everyone knows that there are trace amounts of THC in ‘CBD only’ products; it’s just basic botanical chemistry. Back to a previous point made by my Mexican friend when he stated that the tight control over the people that can obtain a medical marijuana license or prescription could be predicated on the available supply, and a method for the government to negotiate the future supply of marijuana. The current Mexican government has the mandate to introduce legislation regarding personal use and not to revisit or revamp medical marijuana use. Historically the growth and supply of marijuana in Mexico has been concentrated in the Sinola region, which is controlled by cartels as their growing fields are in close proximity to the U. S. border. Corruption seeped into the municipal police and the military, despite efforts to fire corrupt individuals, making militarization dangerous. 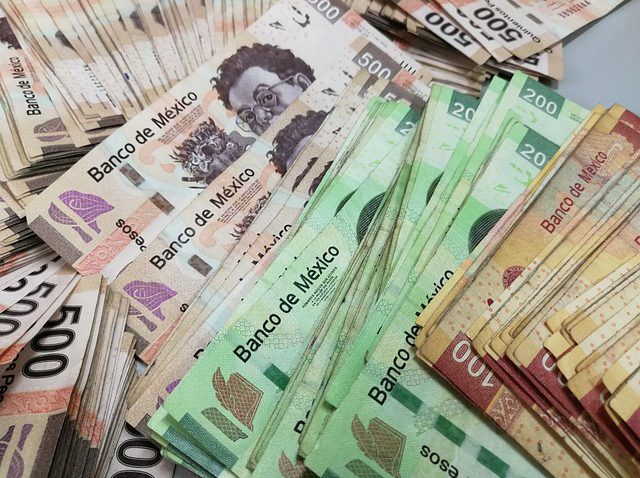 A 2009 study by the Justice in Mexico organization found that 93.6 percent of municipal police in Mexico depend on corruption to make a living wage. Considering 61 percent of officers made 4,000 pesos or less per month in 2009 (the equivalent of about $300 in 2009), it’s not surprising. Since Mexico’s war on drugs began in 2006, it’s been estimated around 200,000 people have been killed, and that‘s a hard number to estimate in a country where 30,000 people have been reported missing, as mass-graves of unidentified people are frequently found in the countryside. But many believe this violence is a reason to end marijuana prohibition, as when people have legal, regulated places to buy marijuana, it takes the wholesale business and distribution out of the hands of organized crime. Marijuana is a huge chunk of ‘cartel’ income, and without that income there is an automatic reduction in their capacity to buy weapons, recruit teens, and bribe politicians. As prohibition is ‘dialed back’ the cartels are forced, like any business, to downsize and negotiate with the federal government on quality and quantities for personal marijuana; they lose market, lose demand, and lose power to the supply chain and pricing. But now the market will focus on personal use laws, and unless the new laws make parallel changes to the existing medical marijuana laws, the medical marijuana client community will still be stuck commuting to Mexico City to visit a doctor and pharmacy….unless the cartels get their dirty hands on product and distribution! In the end, the scenario for Canadian medical marijuana users will not have changed; it’ll be the same old, same old, UNLESS there are changes to the USMCA (which is highly unlikely), or there’s a separate side agreement negotiated between Canada and Mexico regarding the LEGALIZATION of procurement, shipment, and delivery of medical marijuana and CBD products into Mexico. I look forward to your comments, tweets, and emails.